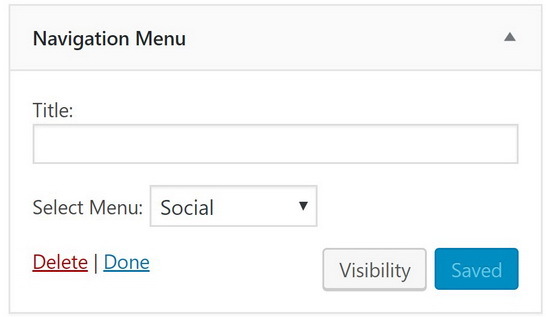 If you want to show a list of your social media icons, start at Appearance > Menus. Create a new menu called “Social”. Please note, the name “Social” is important. It has to be exactly the same spelling, nothing more or less. 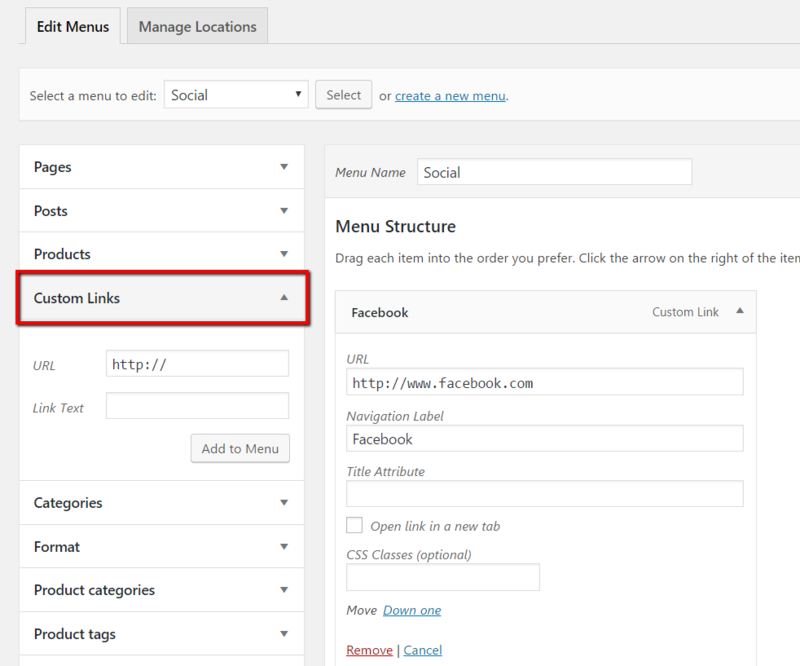 Now enter each of your social media URLs as a “Custom Link”. You can enter whatever you like for the Link Text. It will be automatically replaced automatically by the relevant social media icon. Once you’ve created this menu, you can assign it to any widget area in order to show the social media icons in that location. Go to Appearance > Widgets, and assign the “Navigation Menu” widget to any widget area, and select the “Social” menu for the "Select menu" option.